On the 40th anniversary of David Bowie’s return to the UK for his stint of 1978 shows, Denis O'Regan has given us an exclusive shot from the first of them at Newcastle City Hall on June 14. These were the first UK concerts for two years since Bowie’s 1976 Wembley gigs and Denis had the foresight to make sure he was there. The image on the right is a previously unpublished photo from the night and the one on the left is one of the ones published in the NME review, albeit the correct way round here. 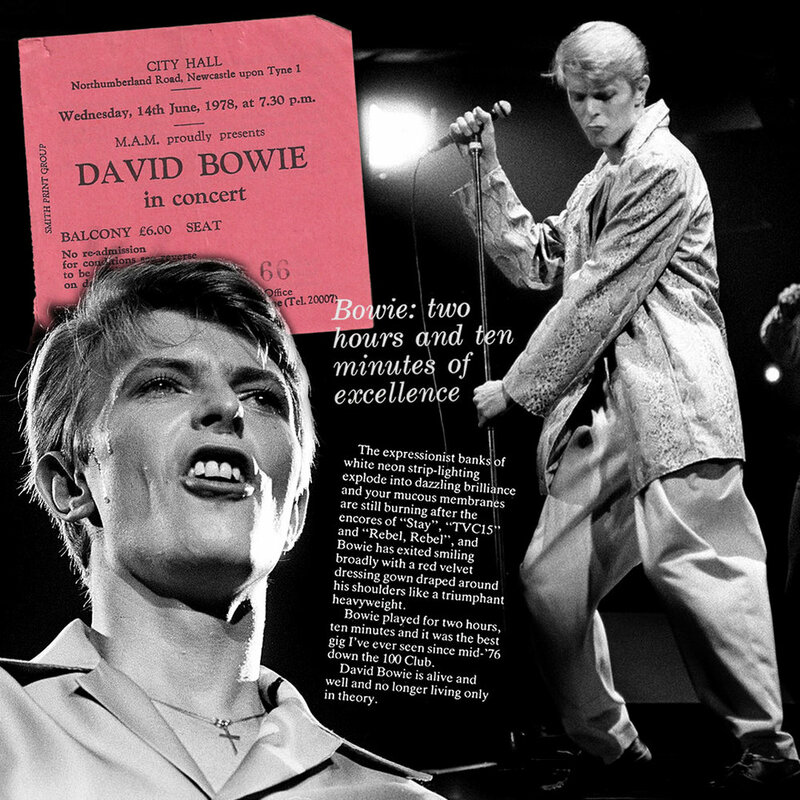 The review itself was glowing summed up by the subheading, “Bowie: two hours and ten minutes of excellence”. I vividly remember arriving at King’s Cross station to catch the Intercity 125 train to Newcastle in 1978, after I persuaded NME to cover David’s Newcastle City Hall show. Then I just remember squatting in the aisle between the front seats awaiting my three song allowance as Warszawa emanated from the PA - the anticipation was incredible. This was the first time I had seen David live since Ziggy Stardust at Hammersmith Odeon five years earlier, and it was the first time I would shoot him as a professional photographer. I had no idea that in another five years I would spend the year touring the world with David. After my three songs I snuck up to the balcony that runs around City Hall, and shot as much as I could. One of my photographs from that night is still probably my favourite of all the live pictures I took of David - it radiates cool. Thanks for that Denis, exciting times. But, as you say, nothing compared to what would happen five years later. Stay tuned for more exclusives from Denis shortly. Also, check out www.Itsahugeboxedset.com to learn more about #bowie1983book. Much gratitude to Martyn Hammond for the ticket scan.